Palm trees in winter is fine to me! 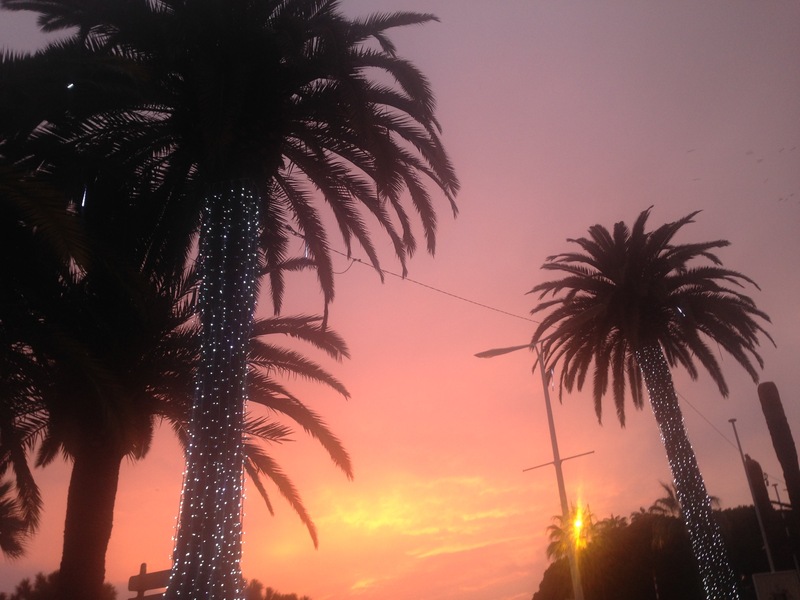 Now that I think of it, Cannes does have palm trees during Winter… but so does Tel Aviv ah! 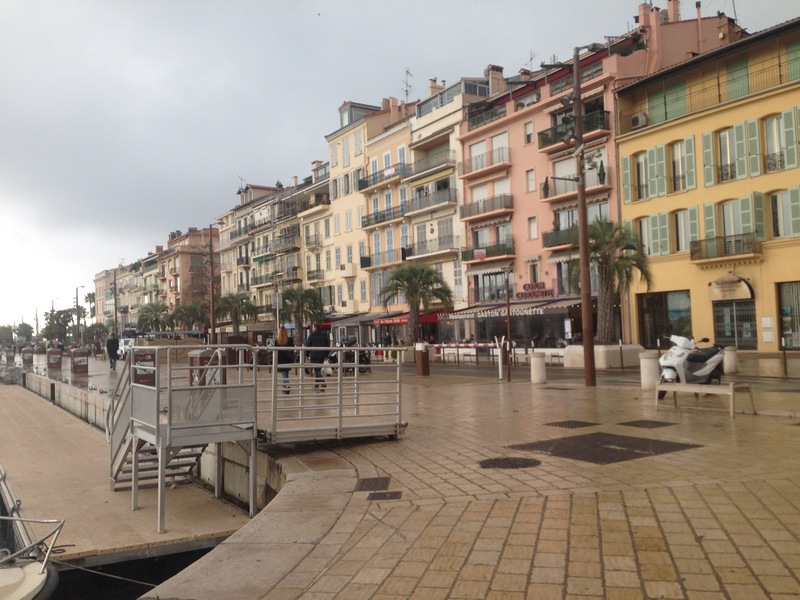 My second day in Cannes was as fun as the first one only now, I had a bit of an idea of my surrounding and of the streets I was walking on. Today was not a sunny day however, the clouds, fog and the rain did not stop the city from being this beautiful! 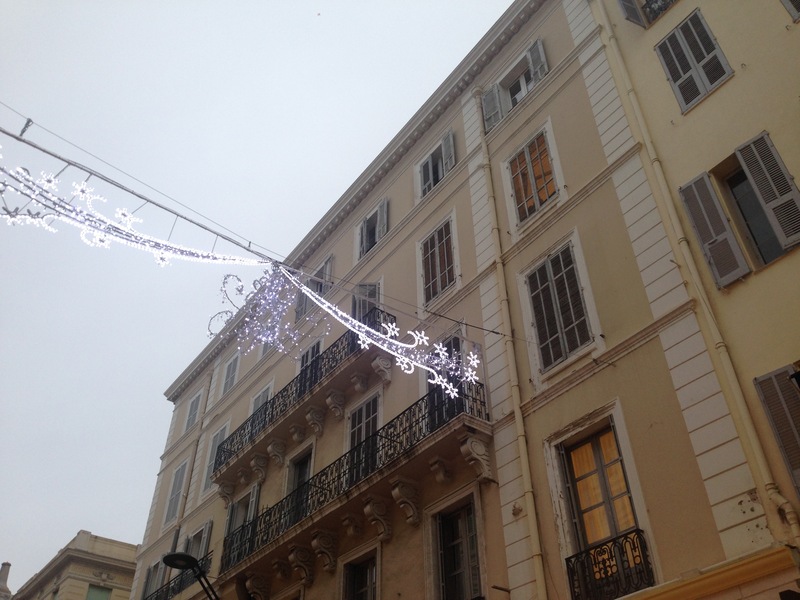 After getting ready, we headed to La Rue d’Antibe for more amazing shopping, obviously. When you put two French girls on a street like this, don’t expect her to come back empty-handed. 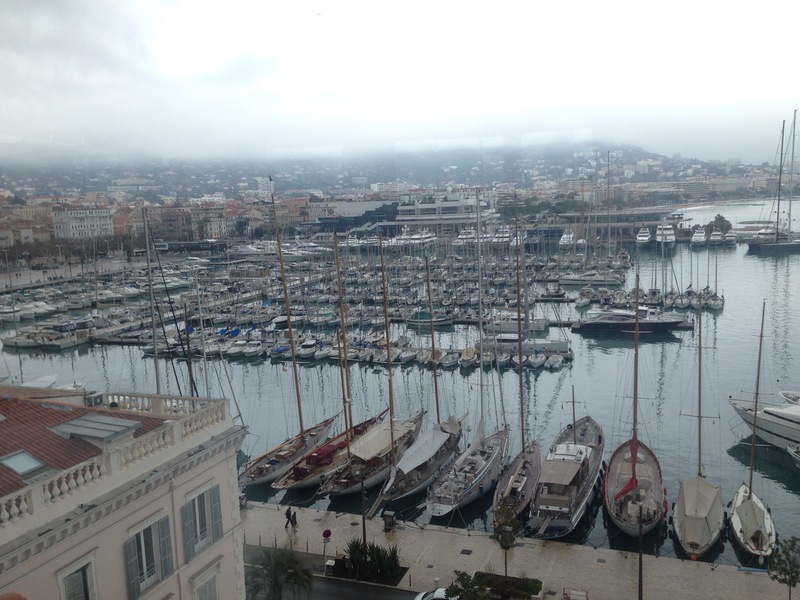 We then got lunch at a rooftop restaurant that had the most amazing view on La Croisette and the sea. As you can see in the pictures above, the building’s colors are so unique and different from all the other countries in France. I wouldn’t mind living in a baby pink building, let’s just put it this way. We then were strolling around just visiting new corners and going into new fabulous stores that we found extraordinary! Great photos. 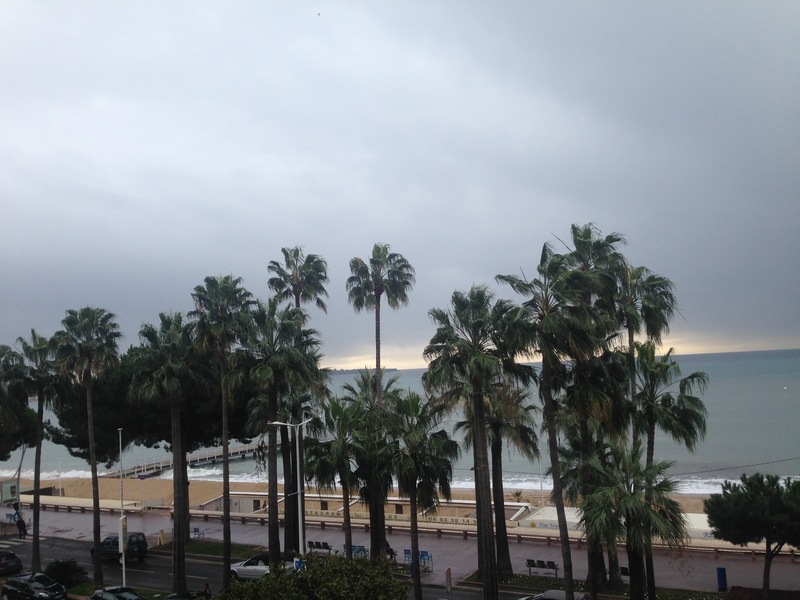 I never expected to like Cannes, and sadly never planned a day there. When I was there briefly I thought it was beautiful. It was a fleeting visit before crossing to the island across from there 🙂 I’ll go back another day. What a gorgeous view! How will you be traveling to your next destination? Fly? Yes! Plane is always the best way to travel! I have never flown before!